Post subject: Official recommended or not paint-shop thread. There's always people asking for paint-shop or powder coater recommendations so lets have a thread listing the good and the bad (if it's ok Mods?). Please try to provide a link to your recommendation if possible. Triple S, Bingley, West Yorkshire. Solent Powder Finishers, Eastleigh, Southampton. D & D precision coatings, Biggleswade, Beds. LSN coatings, Castleford, West Yorks. Amwell Blast Coat, Amwell, Hertfordshire. Yorvik Engineering, Wiggington, York. Possible Zolatone copy!!! Shermaynes on the White Lund Lancaster / Morecambe. Not perfect but good price. CJ Ward, Burton on Trent. ABC Enamelling and Fabrication, Nailsea nr Bristol. 1st Choice Finishers, Exeter, Devon. Full Range Finishing in Letchworth, North Herts. Aurora Powder Coating, Ash Vale, Surrey. Top Coat Wales, Merthyr Tydfil, South Wales. Tallaght Powder coating, Ireland (Dublin). Ferndown Powder Coatings, Dorset (Cheap and cheerful). Bead and Shotblasting LTD, Halifax, West Yorks. Paint Mixers for home use. Jawel Paints, Cannock Road, Wolverhampton. Last edited by brocklanders023 on Thu May 05, 2016 9:50 pm, edited 38 times in total. Excellent idea, I've personally used and recommended to others Solent Powder Finishers in Eastleigh, Southampton. Contact details found here http://www.s-p-f.co.uk/ Average cost of blasting, acid stripping, and powder coating a regular frame and forks with a standard colour is about £40. Finishing standards are amongst the best I've seen. Last edited by hamster on Wed Nov 28, 2012 5:51 pm, edited 1 time in total. Keep 'em coming gang. I take it yours are powder coaters hamster? I thought about putting more up myself (Argos, Bob Jackson etc) but having not used them myself I decided any entry has to come from some one that's had work done at the place in question. As RCB has done, feel free to post a link to give examples of work you've had done. I've used CFS Fabricoat in Watton for two bikes (Orange C16R (Pic Below) & Orange Clockwork) Very happy with the results. 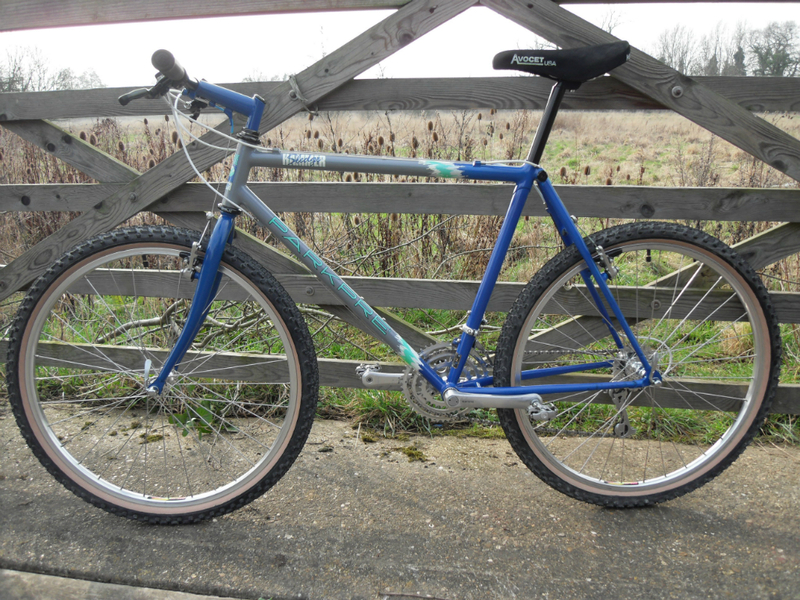 Another vote for Solent Powder Finshers...Had my 97 Marin Quake done there I think it was £45 for full suss frame...Great finish too. ...however they don't do fluro colours as I have just found out! Doh! They colour matched a stem and forks to the frame colour. Perfect finish / match. They are not experienced in bike stuff so make sure you give them clear masking instructions.